IBC 2016, International Broadcasting Convention started on September 8th, 2016 and ended on September 13th, 2016.The Trade Show, Fair and Exhibition venue was in RAI Amsterdam. 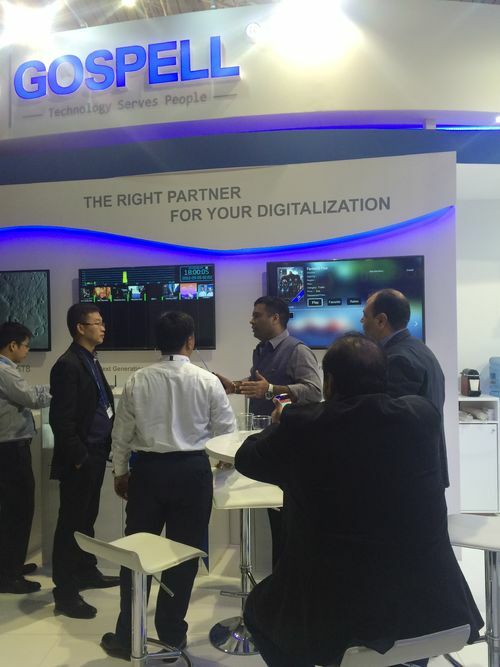 GOSPELL is the leading supplier of digital TV system solutions, at this year's IBC. 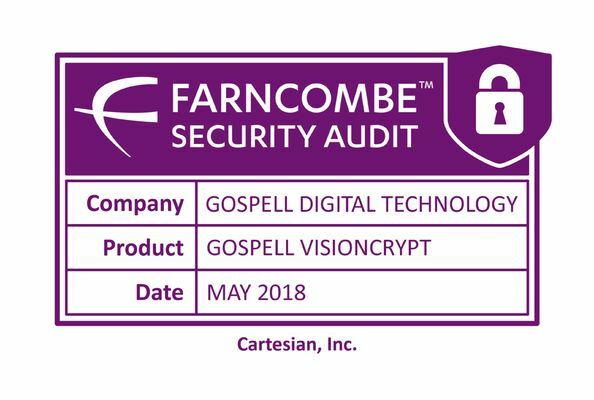 GOSPELL introduced numerous solutions and products, including Advanced Security Conditional Access System, Next Generation Monitoring Solution, Digital Radio Receiver, High Efficient Transcoder ,DTV+OTT Turnkey Solution , HEVC 4K Set Top Box, KA/VSAT Solution and LNB. In 2016, GOSPELL has good performances in India, Pakistan, Nepal, East Africa, West Africa, South American countries. 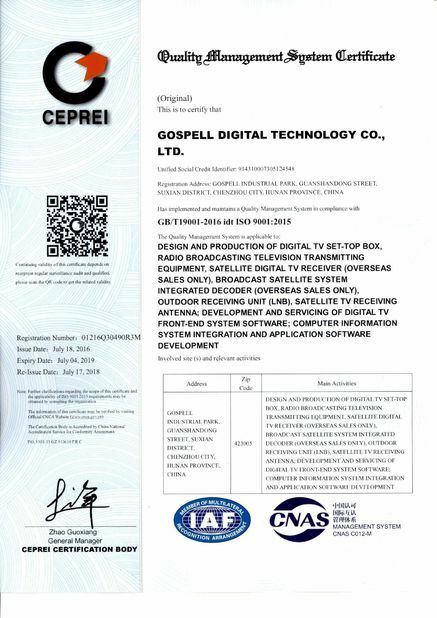 GOSPELL develop rapidly in digital television industry, and we continue to occupy the Digital TV markets around the world. GOSPELL is the right partner which has the first-class quality, the perfect service and meets customer's need unceasingly to achieve each organization’s individual digital TV business goals.